First German edition ("Deutsche Erstveröffentlichung" is stated on the back). The copyright is assigned for the year 2006 to Thranx, Inc. 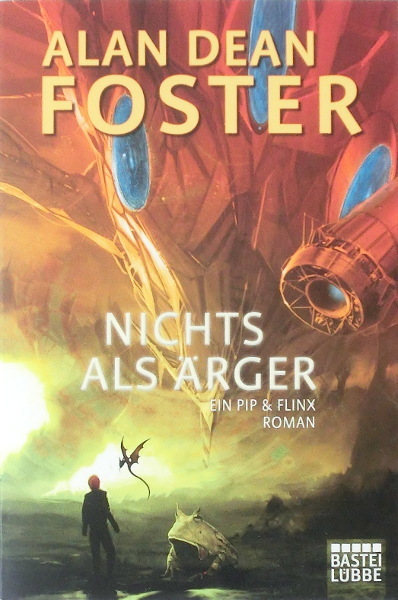 The copyright of the German edition is assigned for the year 2010 to the publisher. First printing ("1. Auflage: Oktober 2010"). A dedication to the memory of Ron Walotsky appears on p. 5. The last page of the novel (p. 351) is unnumbered. The cover art is credited on the copyright page.